Nedcon Maritime Manpower Supply database contains over 30,000 certified, highly-qualified Romanian seafarers, shipyard workforce, and oil and energy professionals. Our experienced personnel have worked with multilingual crews or teams onboard all major types of vessels including passenger vessels, dry cargo ships, bulk carriers, Ro-Ro vessels, container carriers, oil-chemical tankers, gas carriers and offshore vessels. Romanian seafarers have the reputation of being some of the best seafarers in the world and one reason for that is their continuous training offered by the Romanian Maritime Centers. Nedcon Maritime is recruiting for over 20 years the best qualified and trained Romanian seafarers for all types of vessels that are sailing worldwide. Our seagoing personnel include Captains, First / Second / Third Officers, Chief Engineers, Assistant Engineers, DP Officers and Engineers, Reefer Engineers and Technicians, Electrical Officers, Ratings and Catering staff who are trained, licensed and certified. We continuously update our database of personnel with relevant information on each individual, including medical records, new certifications, training and crew appraisal records. Nedcon Maritime Manpower Supply is able to provide full or part crews on a contract basis whereby owners can provide cover for short or long-term requirements. When crew members disembark from the vessel they are de-briefed on the following: discussion of the completed contract performed, confidential report details and crew member’s opinion on all aspects of the job fulfilled. We regard the experience, reliability and understanding of marine practice of our employees as foremost in our recruitment policy. We can therefore guarantee professionalism in all areas to all future employers. 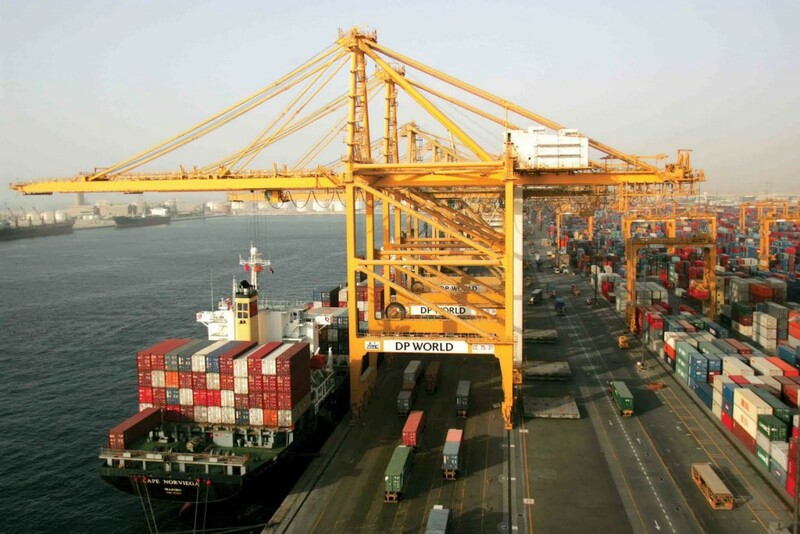 The maritime sector is one of the most demanding and complex of all economic sectors. It is the major worldwide “engine” linking all industries. The modern maritime transportation is the key factor of economic development of each country, providing shipping services and the manpower to manage the fleet of ships and all related services. The two vital players to keep the business rolling are the ships and the human resources. For both of them the maritime industry requires qualified personnel, either professionals for ships building or crews’ officers and ratings for ship navigation. The young high school graduates face a wide range of possibilities when thinking of the next educational choice in order to obtain not only a diploma but also high qualifications necessary for a career in the maritime business. Each year thousands of Romanian graduates are looking for higher educational institutions that will provide them the specific training either for the technical crafts or for navigation ranks. The persons who want to sail the seas and oceans of the world, must consider that the compulsory education include graduating a maritime higher institution in order to access a career in navigation. They can choose to study in a university either to become officers for the Romanian Naval Forces, or maritime officers and engineers for the merchant marine navy. There are many specializations that can offer training for all type of activities related to maritime sector and here are some examples: Navigation, Naval Architecture and Marine Engineering, Naval Systems and Technologies, Mechanical, Industrial and Maritime Engineering, Shipping and Port Management, Telecommunication Systems, Environmental Engineering, Naval Transport, Business and Engineering in Transports etc. There are institutions that are exclusively dedicated to the maritime education. The main characteristics of these institutions are given by the existence of an international standard imposed by the International Maritime Organization (IMO) that is compulsory for all maritime universities combined with the national engineering curricula, that is also compulsory in accordance with the national standards. These maritime oriented universities are seen both locally and internationally as a source of highly qualified labor force in the maritime field. Every year these institutions matriculate a growing number of candidates willing to undergo the educational process for this is the first and major step to enter a maritime career. All these Romanian graduates are looking forward to sail the sea but in order to obtain their endorsement, they need an embarkation practice period. Deck Cadets require a minimum of 12 months sea period of which 6 months on watch and Engine Cadets currently a minimum of 6 months of which 3 months on watch. During this sea time they have the chance to put knowledge into practice and enjoy the best learning conditions on board and the opportunity to have access to the latest technology and equipment, essential tools for navigation activities. Life at sea is not for amateurs, no one can afford to go blind at sea. The seafarers must be prepared for the unexpected. The shore training doesn’t compare with sea experience, but then again there is no experience without training. For example when dealing with a respiratory failure of one of the crew members, you must know precisely what to do and to do it right. Experience may give only a shorter time of reaction, but the procedure it’s always the same. In order to solve the medical situations the officers and ratings are trained during the “Medical First Aid” and “Medical Care” Courses. 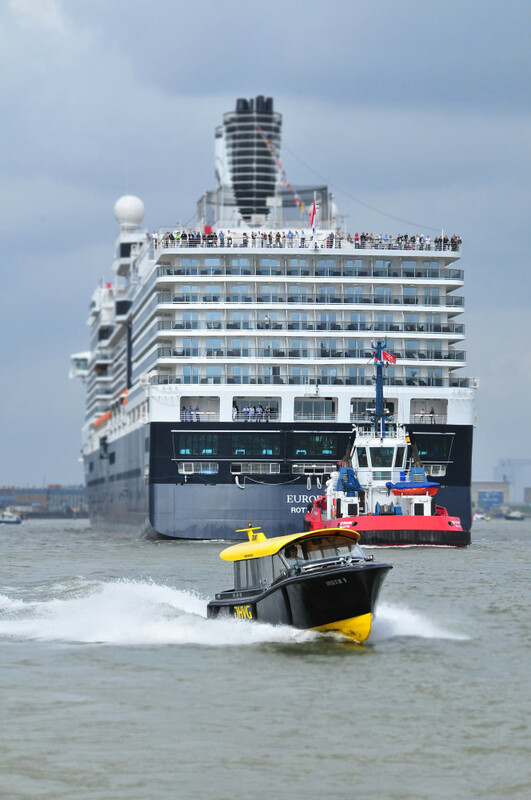 A major aspect of the maritime business is the common fact of the multinational crews. English is the “lingua franca” of the maritime business. On board ships every man has precise duties and responsibilities, orders must be understood and followed, therefore the communication is crucial. Perfect understanding keeps everything rolling at the exact time and the right course as it supposed to. As a seafarer, you can’t possibly consider your job at sea a selfish one; you’re not the only one with a family back home. The old saying “one for all and all for one” is very well illustrated in a ship crew, because one’s fault can cause major disaster for everybody. Sometimes the crews can face harsh sea conditions, and the survival may not be always easy but the proper training provides the knowledge and the guidance to safe shore. The people that dedicate their lives to sea navigation are fully aware of the fact that they are responsible for themselves and for the rest of the crew. In order to face all the potential problematic situations, the seafarers prepare themselves to work according to the safety regulations to avoid or to be able to manage all types of incidents that may occur. There are special courses like “Personal safety and social responsibilities on board ships”, “Proficiency in personal survival technique”, “Proficiency in survival craft and rescue boats other than fast rescue boats” and “Advanced firefighting”. Taking into consideration modern technologies, 21st century sailing is quite different than what it used to be few centuries ago. The technological systems that provide all information for reliable, safe and efficient operation of ships require highly qualified personnel that can manage all these systems. The ground simulators offer the possibility of advanced practice before actually sailing. Some of the necessary courses are “Radar navigation, radar plotting and use of ARPA”, “GMDSS-GOC-I – Global Maritime Distress and Safety System – General Operator’s Certificate” and others. The vessels are much bigger and the technologies used far more complex. For example a Very Large Crude Carrier (VLCC) of over 300.000 DWT or Ultra Large Crude Carrier (ULCC) of over 500.000 DWT can’t be operated as a raft on a calm river in a sunny day. To sail on board tankers there are specific courses, the “Tanker Familiarization” and in addition the specialization for each type of tankers: “Specialized training for chemical tankers”, “Specialized training for Liquefied Gas Tankers”, “Specialized Training for Oil Tankers”, “Tanker management and self-assessment, Transport and handling of dangerous hazardous and harmful cargoes”. The officers and ratings have a multitude of courses to attend, in modern facilities. Duration of the courses varies according to the type of the course and the rank of the students. Some of the courses form the basic training and others are specific to the superior level of training. All the seafarers know that to keep up with the changes in the maritime industries it means that the training never ends. 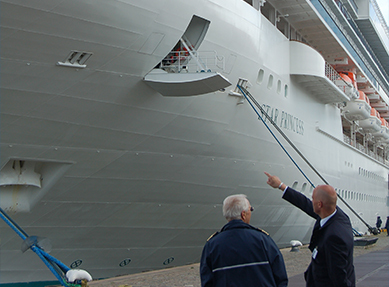 The Maritime industry is one of the most offering and dynamic industry on the jobs market. This industry is growing rapidly being the source of a constant flow of trade worldwide. Maritime project management department plays a very important role, being assigned to deal with various technical issues and it has had a positive impact on Maritime Engineering, Vessel Staffing, and Maritime Jobs. In the maritime engineering, ship management department provides integrated services for ship and also manages the crew as they supply the manpower. The ships’ owners don’t have to worry about the ship because the ship management service provider ensures the maintenance of the ship. Ship management involves on one hand, a wide range of activities from hiring staff members and their training including the safety while on board, and on the other hand, to coordinate logistics and arranging the necessary ship repairs. 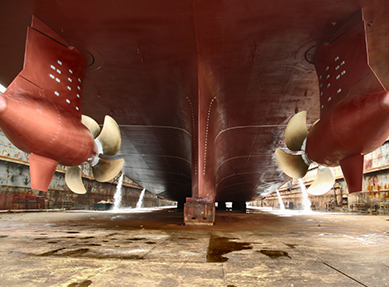 Any problem regarding both the safety systems and ship maintenance are discovered during the routine inspections. 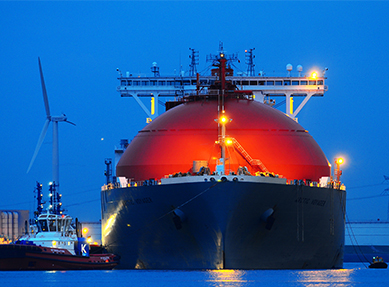 The Vessel Staffing is one of the most dynamic sectors of maritime industry. The crewing companies’ job is to provide the best qualified personnel both for the ships and for worldwide shipyards. Nowadays there are several types of vessels that operate marine areas all over the world: cargo ships, containerships, bulk carriers, tankers, chemical carriers, LNG and LPG carriers. Another category comprises ferries, RO-RO vessels, vehicle carriers, offshore support vessels, high speed craft and dynamically positioned vessels. Maritime jobs offers the most desired combination – that of a high salary along with lot more vacation time than any other industry. Having a very wide scope, the maritime sector provides lots of job opportunities. It plays a fundamental role in the global economy because it provides the trade channels between the countries located in different parts of the world. The job opportunities offered are covering a wide range of professions. There are many offshore and onshore maritime jobs like ship’s captain, first mate, second mate, able seaman, deck workers, engineers, shipbuilding chief engineer, oceanographic explorer, marine policy specialist, marine technician, environmental advocate, etc. All of these maritime jobs have specialized training and sea time requirements. The access of interested people to maritime jobs is facilitated by a crewing company which represents the essential link to ship operators that employ a wide variety of positions, given the vast array of technologies, missions, and circumstances that vessels have been subjected to over the years. A ship’s crew can generally be divided into four main categories: the deck department, the engineering department, the steward’s department, and other. Nedcon Maritime – the largest independent Romanian manpower supply company for clients all over the world is offering numerous possibilities for those willing to get a well-paid job in international locations for major maritime players. In order to offer the most efficient and high quality services to our present and potential clients, the Nedcon Maritime team is proud to say that it represents the reliable partner in matching the best candidates with the required jobs. We are familiar with the Romanian maritime educational system and all Romanian Officers and shipyard specialists that we have recruited bring their contribution to our excellent reputation on the international maritime business market. Nedcon Maritime Manpower Supply database comprises over 30,000 certified, highly qualified Romanian Seafarers, shipyard workforce, gas and oil professionals. NEDCON Maritime excels in gathering the most suitable candidates to form riding teams ready for action in due time and ready to travel all over the world in order to carry out maintenance, new buildings and repair projects for the clients. Each relationship we establish with a client grows into a successful partnership. People considering they want to embrace one of the above mentioned professions must follow one of the specializations provided by the country’s educational institutions. Depending on the craft or profession there are certain educational training required, from attending 8 to 12 grades in a state institution, followed by other courses specific to the craft chosen, the future professionals get a diploma and start working in their trade field. They can promote on the professional hierarchy by gaining experience at their work place. If they attend the higher education they can approach the top jobs in their trade. The southeastern region of Romania hosts four main maritime shipyards and four fluviatile-maritime shipyards, as well as numerous fluvial shipyards and ship workshops, which represent a source of trained and qualified personnel, willing to apply for international jobs. 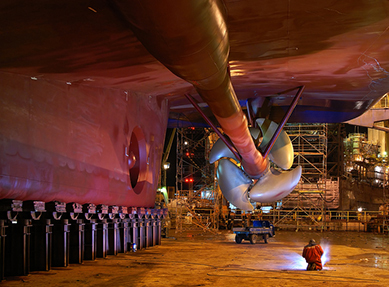 Existing shipyards and ship workshops account for an important part of the industrial sector of the economy in this region in total of approximately 8000 employees. 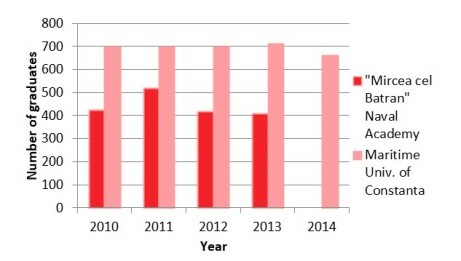 These numbers do not take into consideration employees from subcontractors and vary form one year to another, depending on the ups and downs of the international economy, which determines the fluctuations in orders for ship repair and maintenance works. We believe that Nedcon Maritime’s processes for the recruitment and selection of personnel, done according to client specifications, are major components in the way we create value for the customer. Better trained people mean a more productive workforce and greater yield for the client. We think they’re our greatest asset and we encourage clients to become involved in the training of their workforce. A well-trained workforce means more efficiency and less wasted time and effort. We continuously update our data base with relevant information for each individual and replenish it with new qualified personnel recruited form the pool of possible candidates briefly described above. Our company systems allow rapid gathering and supply of large numbers of people on demand. All personal details, professional experience, medical records and studies are updated and checked in bulk and all the documents and forms are also generated in bulk, in an efficient and timely manner. We supply educated, highly productive and adaptable workforce, with a strong safety culture, at a lower price and we promote zero alcohol policy. facile connectivity to any other place in the world – rapid and reachable connections to Asian and American continents. Despite the international economic ups and downs, Romania represents an important source of highly trained and professional personnel. Nedcon Maritime has proven its efficiency in gathering highly skilled personnel, specialized in a wide variety of trades, highly adaptable, ready for action 24h a day, 7 days a week and 365 days a year and ready to travel all over the world to carry out important projects in a timely and efficient manner, at a competitive cost. Our company has gained remarkable experience in a leading position on the market in its 20 years of existence. Nedcon Maritime has all the logistics and certifications in place to meet our clients’ needs in expectations in due time. Our clients confirm our high level of professionalism and rapid reaction in providing and moving hundreds of tradespeople to different locations on a weekly basis and in many cases they come to us by referral. Despite the international economic ups and downs, Romania represents an important source of highly trained and professional personnel, specialized in a wide variety of trades, highly adaptable, ready for action 24h a day, 7 days a week and 365 days a year and ready to travel all over the world to carry out important projects in a timely and efficient manner, at a competitive cost. Our mission is to ensure providing large groups of highly-skilled people in a short period of time in various locations worldwide in order to offer the best level of services for Clients’ performance. Our vision is to have long-term satisfied Clients by offering excellence in our partnerships. With a database of over 30,000 qualified, highly skilled Romanian Maritime Manpower of all ranks and trades, gathering and supplying large numbers of people shortly after receiving an enquiry is an achievable task for Nedcon Maritime. People considering they want to embrace one of the above mentioned professions must follow one of the specializations provided by the country’s educational institutions. Depending on the craft or profession there are certain educational training required, from attending 8 to 12 grades in a state institution, followed by other courses specific to the craft chosen, the future professionals get a diploma and start working in their trade field. They can promote on the professional hierarchy by gaining experience at their work place. If they attend the higher education they can accede to the top jobs in their trade. Existing shipyards and ship workshops represent an important part of the industrial sector of the economy in this region, totalizing in average 8000 employees. These numbers do not take into consideration employees from subcontractors and vary form one year to another, depending on the ups and downs of the international economy, which determines the fluctuations in orders for ship repair and maintenance works. We believe that Nedcon Maritime’s processes for the recruitment and selection of personnel, done according to client’s specifications, are major components in the way we create value for the customer. Prior to joining the project on location, our welders are tested (electric arc, argon and CO2 coded) and certified as per Clients’ requirement for certain welding jobs according to their welding specifications. All materials subject to test and inspection are to be to the satisfaction of the Surveyor and in accordance with International Rule requirements. Throughout the Company’s system we have the possibility to keep track of men’s availability; therefore we manage to find suitable candidates rapidly in every moment. The system also assures us that all collected data such as applicant’s personal details, professional background, medical tests, education, courses and licenses are checked and updated, therefore generating the application CV’s can be made automatically with just one click. 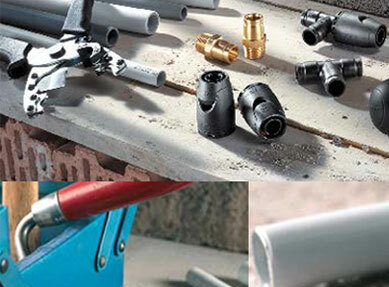 With these advanced tools we increased our productivity, offering quick and efficient response to our client’s demand. It is important to highlight the reasons why to choose Romanian workforce: it is outstanding, being well-known for its high productivity, performing even the most complex job requirements, and its great level of adaptability to multi-cultural teams, being oriented for safety culture. Romanian workforce will improve your business performance and productivity while reducing costs, by offering quality and professional services. 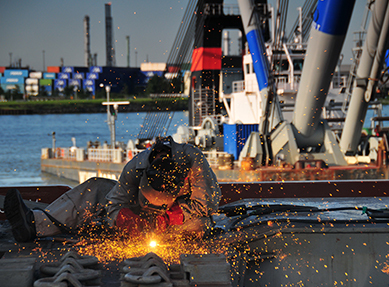 Nedcon Maritime has excellent connections with various shipyards all over the world, over the Company’s years of experience providing highly-qualified workforce in the field of shipyard services. Nedcon Maritime holds a leading position on the market and in its 20 years of existence the Company has gained experience in recruitment of shipyard personnel, riding teams, Romanian seafarers, oil and gas professionals and hospitality personnel. Nedcon Maritime benefits form all the necessary elements: location, logistics and certifications to meet qualitatively and rapidly any kind of requirement from the Clients in due time and at better costs. 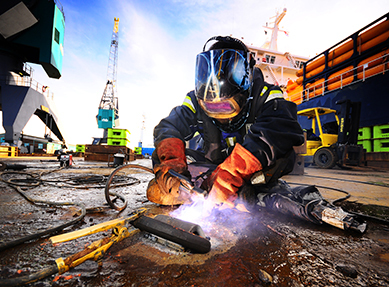 Our recruitment and deployment procedures for shipyard personnel are very strict so as to make sure we provide the best workforce for our Clients: multi-skilled, productive, flexible, adaptable, reliable, well trained, ready at any time to travel to various locations to perform important projects efficiently and at a competitive cost. Nedcon Maritime has all the means to assure rapid reaction time and mass deployment of excellent workforce to different locations on a weekly basis. The work was done in good conditions by the deployed team, in the specified timeline. All the Client’s requirements were met. The Client was very pleased with the work done and awarded the team by increasing salaries. NEDCON has a long standing tradition on recruiting maritime manpower. Founded in 1997 as Nedcon Shipping, it has grown step by step and developed into Nedcon Maritime, the Largest, Independent Romanian Manpower Supply Company, involved in the recruitment of Romanian Seafarers, Riding Teams, Shipyard Personnel, Oil & Gas Professionals and Hospitality Personnel. Nedcon Maritime has always aimed at obtaining all the necessary certifications in the maritime manpower sector, being included on a very select list of companies and proving our capacities and qualifications for the work we develop. NEDCON Maritime Manpower is MLC 2006 certified, which demonstrates the ability of the Company to consistently provide services that meet customer requirements and regulatory requirements applicable law and to keep control of services through effective application of standards. NEDCON Maritime is qualified in the Achilles Joint Qualification System for Suppliers to the Oil Industry in Norway and Denmark”, a certification which demonstrates NEDCON Maritime’s commitment to the region’s oil industry, providing a wide range of highly trained Romanian personnel, suitable and specialized in the oil and gas sector. 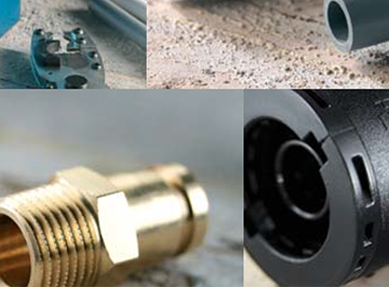 NEDCON Maritime is registered as a supplier in the Sellihca Nordic Utility Pre- Qualification System”. This places the Company in a community with over 4000 qualified suppliers delivering a wide selection of product and services. Over 20 years, Nedcon has built well-respected, solid business relationships with a large number of reputable clients, meeting their requirements efficiently, quickly and effectively. Nedcon Maritime is able to provide manpower services to worldwide employers, deploying thousands of highly-skilled, multi-qualified people, year by year, in various locations, having large amounts of people available to be deployed on short notice, while reducing costs and by offering quality and professional services. The offshore oil and energy industry has traditionally functioned with a teamwork culture (an essential component of organizational performance) and many operations are managed by crews, shifts and groups working together. As an oilfield services provider, our Company delivers services for offshore projects including steel and concrete structures (in fixed, floating and mobile forms) sub-sea completions, interconnecting pipe work and controls. 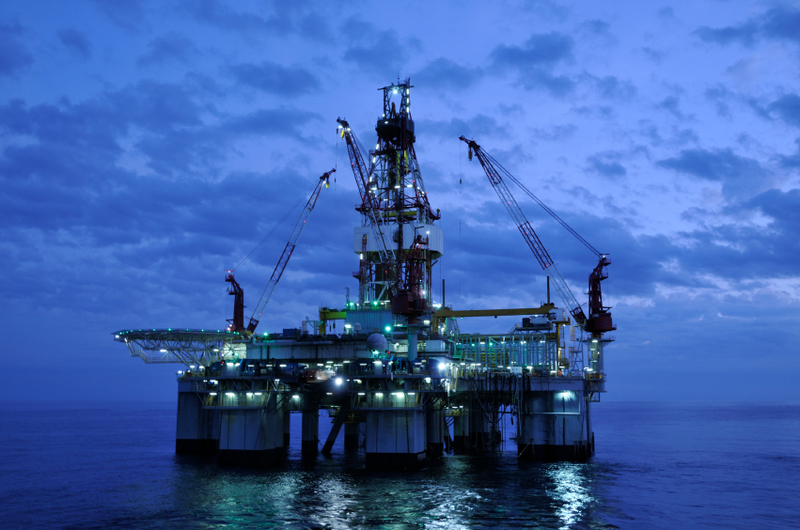 Our services cover all phases of offshore oil and gas exploration, development and production. Our personnel provide an in-depth knowledge of the industry based on their vast experience and also help clients optimize their investment for the optimal return. Our collaborative work ethic and our clear understanding of individual Client’s needs enable us to achieve cost-effective solutions at strategic and operational levels in the full cycle of the oil & gas exploration and production process. NEDCON was founded in 1997 as Nedcon Shipping and has a long standing tradition on recruiting maritime manpower. It has grown step by step and developed into Nedcon Maritime, the Largest, Independent Romanian Manpower Supply Company, involved in the recruitment of Romanian Seafarers, Riding Teams, Shipyard Personnel, Oil & Gas Professionals and Hospitality Personnel. Nedcon Maritime has gathered 20 years of experience and determination to provide high quality services, which enable us to fully understand each client’s requirements and provide the best and most suitable solution. Our market reputation is built upon long-term relationships, integrity and trust. We prove a high level of repeat business and many of our clients come to us by referral. Nedcon Maritime offers professional consultancy and recruitment solutions in the worldwide cruising industry and hotel department in order to meet the specific demands of our Clients. We use our extensive experience and knowledge in the field to select and provide only the most qualified candidates in the hospitality industry all over the world. Our constantly increasing database consists of highly experienced and qualified candidates in all industry fields. We commit to sourcing highly experienced professionals to ensure our Client’s continued business success. All selected candidates pass through a stringent process which includes professional experience and qualification checks, English language knowledge testing, police records and references verification. There are several reasons for choosing a job on a cruise ship and incredible benefits that come along, as these are the crown jewel of all ships ever built. Allows one to work in a luxurious 5 stars environment. Pays to visit some of the most exotic destinations on the planet, from the Arctic to Antarctica including Europe, USA, Australia, Africa New Zealand, the Caribbean, Bahamas, Hawaii, Alaska, Canada, the Far East, the Pacific, and the Mediterranean! In few words it’s about the entire world. Offers the extremely appealing possibility to earn a great income (tax-free in many cases). 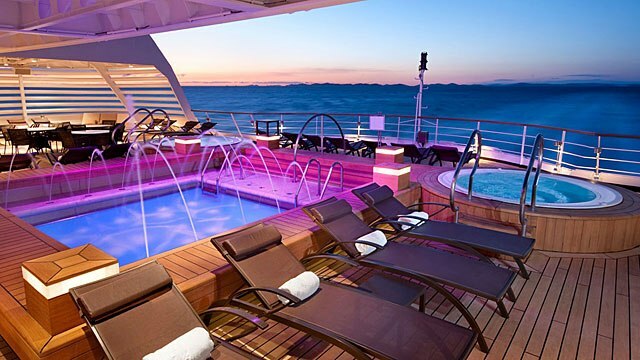 On such a beautiful ship like it is a cruise ship, it is impossible to get bored. It’s an experience resembling to a social community on web transferred in the real life. Puts new people of all different nationalities into one’s life, making friends from all over the world! Offers the extraordinary opportunity to start and build an exciting career at sea! An extremely important thing is the safety and security regarding traveling on board (no risks comparing to backpacking, for example). It gives the chance to enjoy one of the most impressive, satisfying new life experiences one’ll ever have! It gives memories to look back at with great pleasure on years to come – and a multitude of stories worth sharing with people over and over again. And arguably the biggest benefit of all is what it does for one’s career. It develops skills and rich work experience that will grace one’s resume / CV for the rest of working life. The bottom line is that working on a cruise ship allows travelling all over the world, getting paid very well, and enjoy a complex adventure. Comparing all the above mentioned to sitting back at the desk in the corporate world or to being stuck in a boring dead end job, hanging on for the next vacation, it becomes extremely appealing as a next job.